Bruce Chatwin's bestselling novel traces the fortunes of the enigmatic and unconventional hero, Kaspar Utz. Despite the restrictions of Cold War Czechoslovakia, Utz asserts his individuality through his devotion to his precious collection of Meissen porcelain. Although Utz is permitted to leave the country each year, and considers defecting each time, he is not allowed to take his porcelain with him and so he always returns to his Czech home, a prisoner both of the Communist state and of his collection. "Not a word is wasted in the telling of this tale. Each sentence is fashioned, polished, and put into place with microscopic care"
Bruce Chatwin was born in Sheffield in 1940. After attending Marlborough School he began work as a porter at Sotheby's. Eight years later, having become one of Sotheby's youngest directors, he abandoned his job to pursue his passion for world travel. Between 1972 and 1975 he worked for the Sunday Times, before announcing his next departure in a telegram: 'Gone to Patagonia for six months.' This trip inspired the first of Chatwin's books, In Patagonia, which won the Hawthornden Prize and the E.M. Forster Award and launched his writing career. Two of his books have been made into feature films: The Viceroy of Ouidah (retitled Cobra Verde), directed by Werner Herzog, and Andrew Grieve's On the Black Hill. On publication The Songlines went straight to Number 1 in the Sunday Times bestseller list and remained in the top ten for nine months. 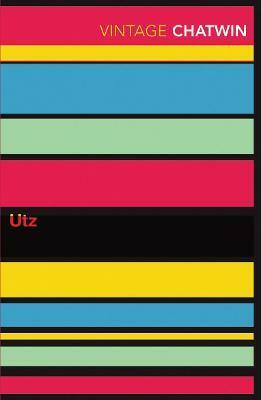 On the Black Hill won the Whitbread First Novel Award while his novel Utz was nominated for the 1988 Booker Prize. He died in January 1989, aged forty-eight.